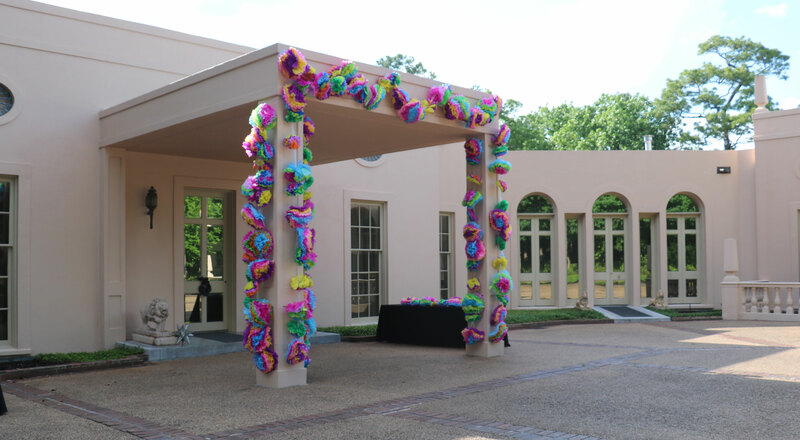 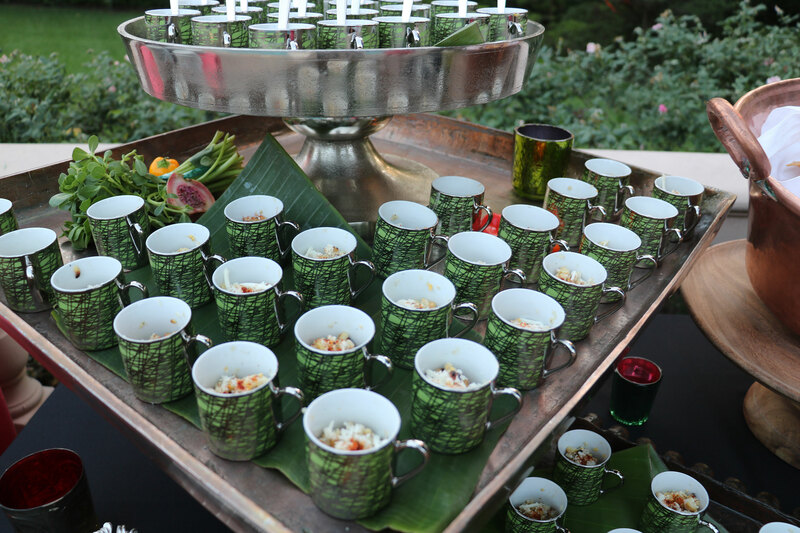 Art lovers celebrated spring in style at the 2017 Rienzi Spring Party with a “Mexican Fiesta” theme event designed and catered by Swift + Company. 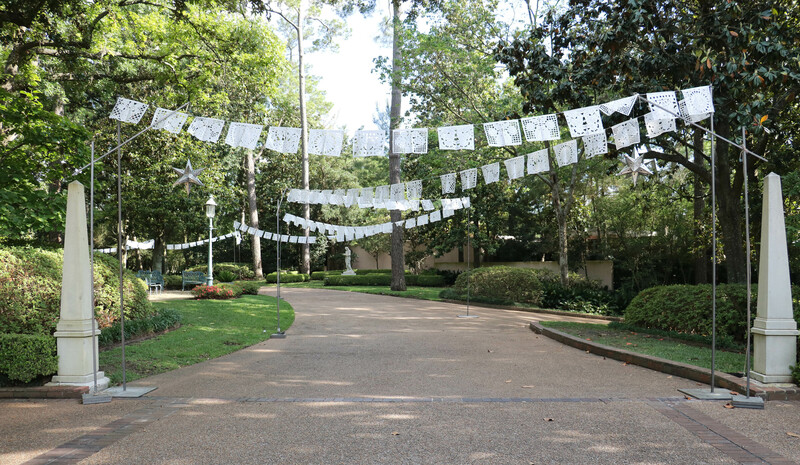 The festive soiree raised $152,000 in support of Rienzi, the MFAH house museum for European decorative arts. 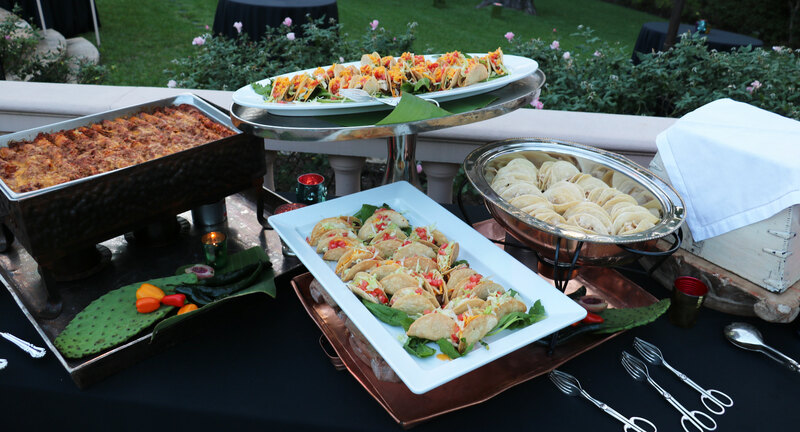 Guests sipped Palomas and Margaritas and enjoyed a fiesta buffet dinner poolside. 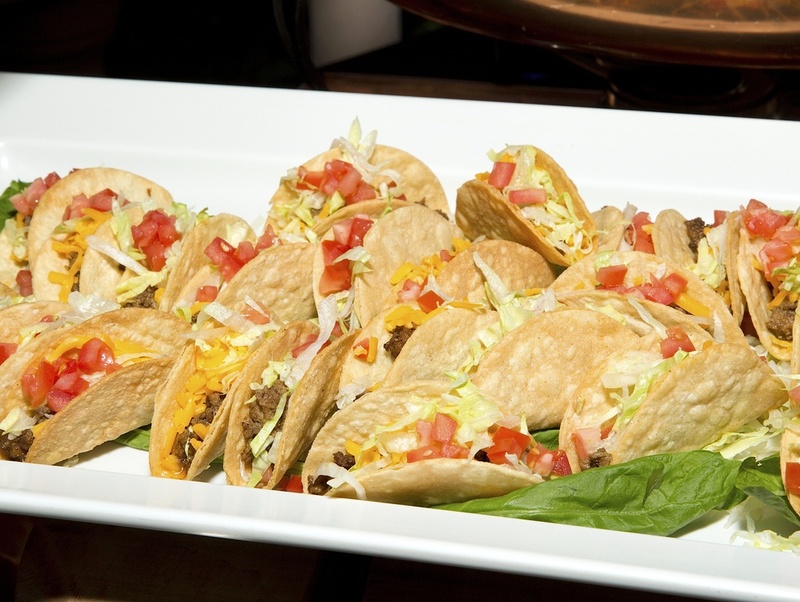 The Mexican menu featured a lettuce salad with roasted corn, pepitas, heirloom tomatoes, queso fresco, tortilla strips and creamy cilantro dressing, traditional cheese enchiladas, petite crispy beef tacos, roasted “street” corn, guacamole, salsas and more. 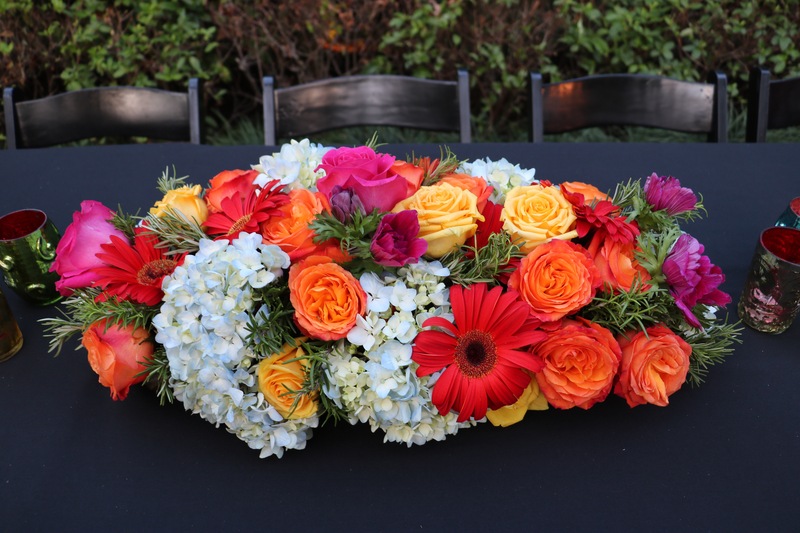 Tables topped with black and melon linens set the stage for colorful flower centerpieces with David Austin roses, fuchsia anemones, red Gerbera daisies, and blue hydrangeas from Swift + Company Flowers. 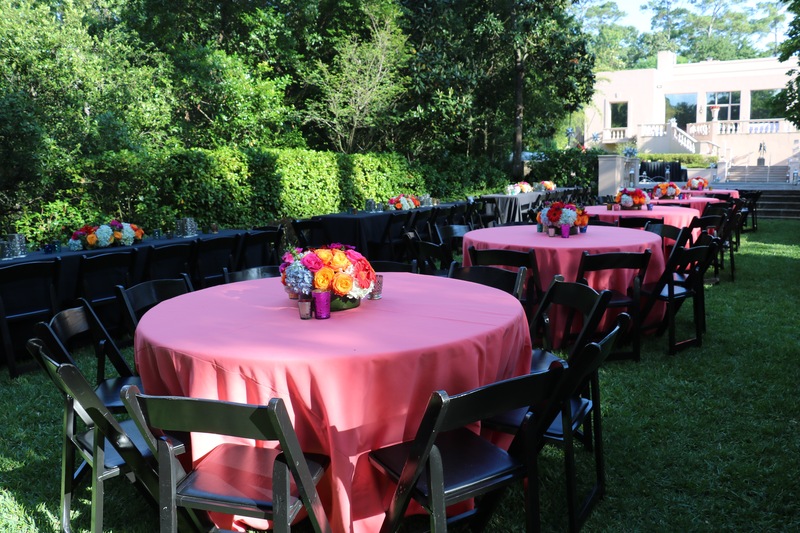 Additional seating areas featured Furano cocktail tables and nickel bamboo chairs. 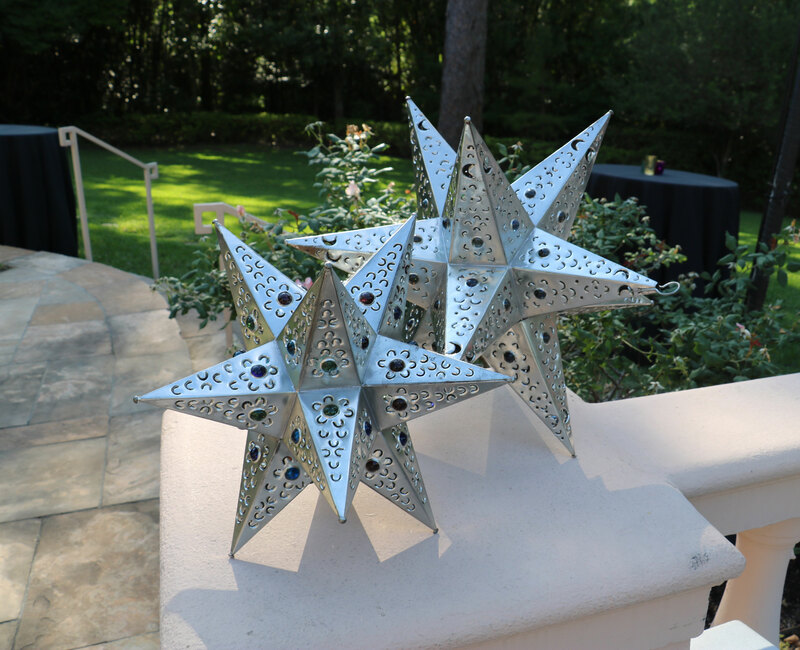 Artisanal Mexican tin star lanterns and handmade votives added to the ambiance of the event. 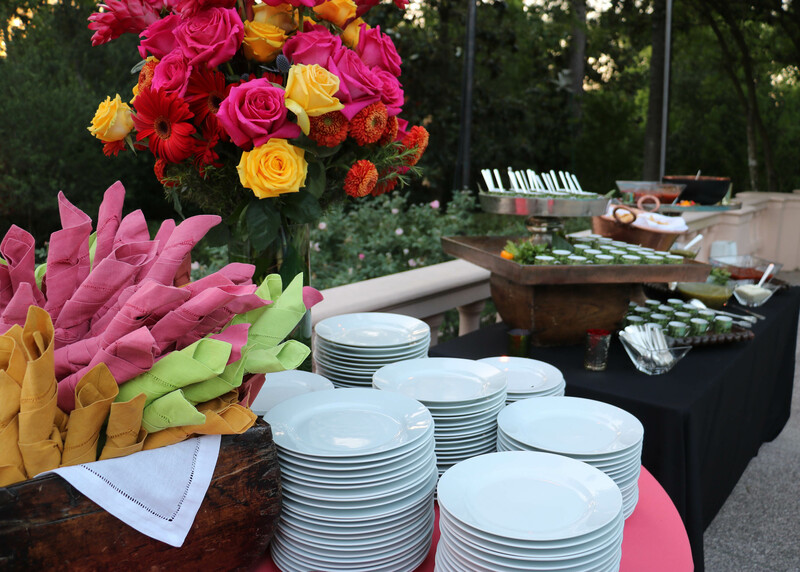 Thank you to Rienzi chair persons Stacey and Jeff Henningsen, Rachel and Mark Lawrence, and Angie and John Reckling for choosing Swift + Company to produce such a wonderful event!